Our Elm Park Nursery is conveniently located in St Nicholas Avenue, a residential area just a few minutes’ walk from the train station, bus routes and local shops. 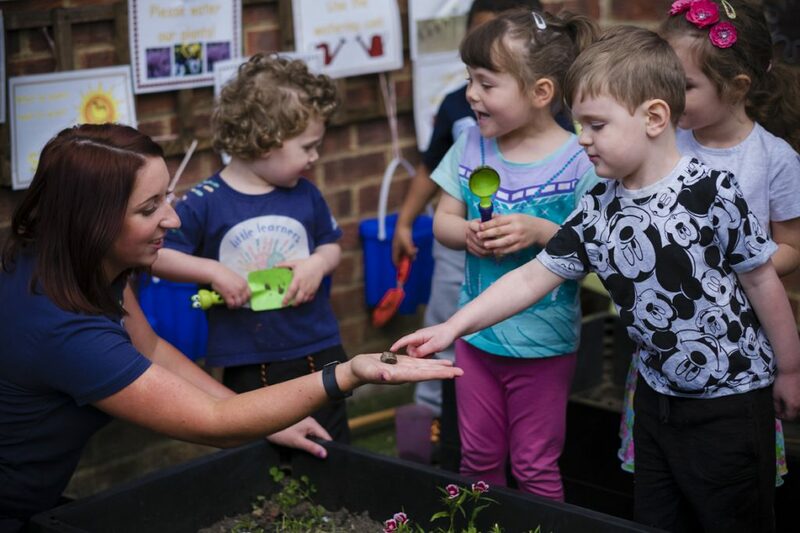 The nursery opened in 2015 and is based in a converted house on a quiet residential street, with direct access to a child-friendly garden, a growing area, and a sensory area. It has recently been re-decorated and is light and bright, with plenty of wall space to showcase the children’s creative projects. The nursery day starts at 7:30am and finishes at 6:30pm, Monday – Friday, 51 weeks a year (we take a break at Christmas to celebrate with our families!). Learn about people who help us and have visits and visitors! Mealtimes are fun, sociable occasions when staff and children eat together. In fact, we encourage our children to get involved in cooking. They often discover new things that they like and grow fonder of vegetables having been involved in preparing them! We take great care when it comes to food hygiene, with an on-site chef who produces a delicious four week healthy-eating menu that changes according to the seasons and availability of produce. All the food is freshly prepared on site and nutritionally balanced with plenty of fresh fruit and vegetables to ensure a healthy diet. All staff eat alongside the children in order to act as role models and encourage healthy mealtime social situations. This also allows staff to react quickly should a child choke and require first aid. 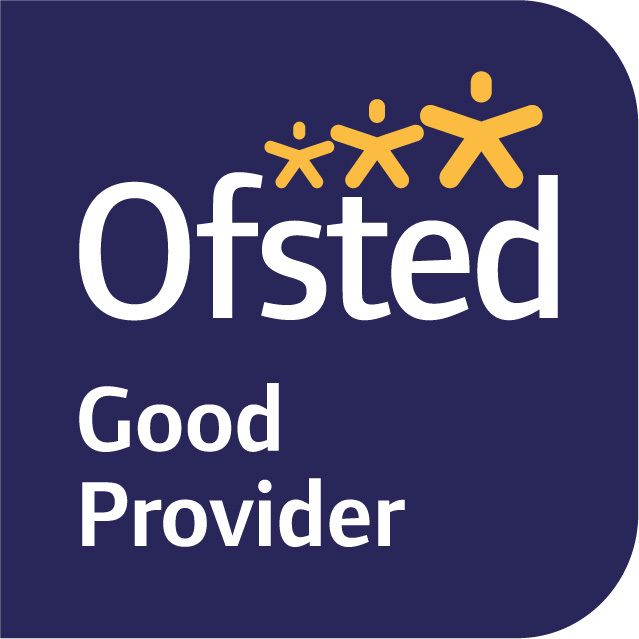 We take dietary requirements very seriously and ensure that staff know if your child has allergies or other requirements, such as religious observances. Millie’s Mark certifies that all our staff members that work with children have a qualification in paediatric first-aid, and that we have an extensive first aid processes in place. You can view our certificate here. Millie’s Trust was formed in 2012 by Joanne and Dan Thompson, whose daughter Millie died after choking on food at her nursery. The Trust has campaigned tirelessly for all early years staff to be trained in paediatric first aid. Our dedicated baby room is filled with bright, stimulating colours, textures and sounds but is transformed into a calm, relaxing environment at nap time. We endeavour to follow your baby’s home routine as closely as possible while they naturally adapt to the routine of the nursery. 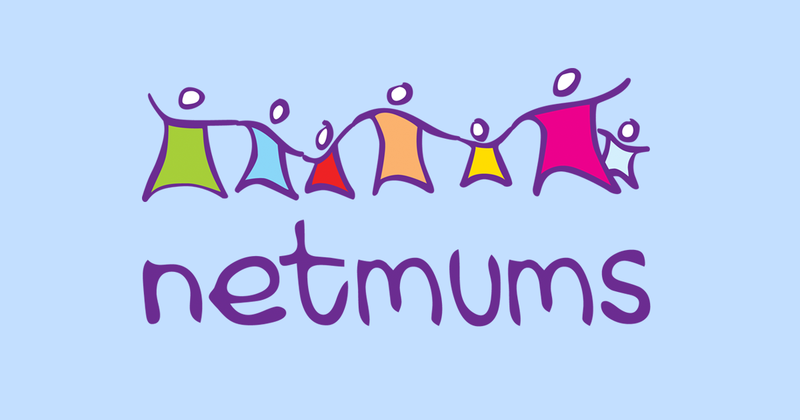 We work with you very closely (whether you are a parent or carer) to make this transition as smooth as possible. We are very happy for you to call and check on your child’s well-being as often as you need to as they settle in. 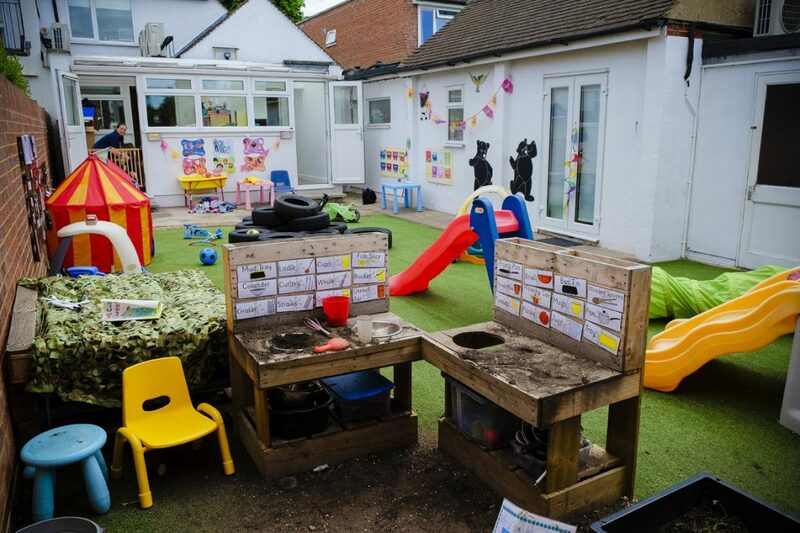 Our two- and three-year-olds enjoy their own dedicated area where they can make friends and learn how to play with their peers as they use their imagination and initiate games, as well as joining in with adult-led activities. The two- and three-year-olds can also interact with the older preschool children in an additional shared space. This stretches their imagination and encourages curiosity as they observe and get involved with activities that extend their capabilities. The Preschool room is a hive of activity, with activities including a messy play and an art and craft area. 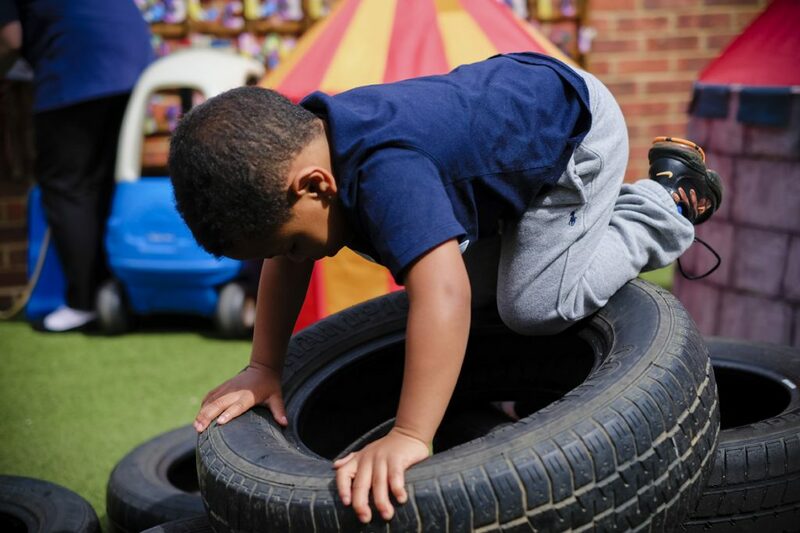 These enable children to explore their creativity, develop and practice fine motor skills and hand-eye co-ordination, compare textures while developing their language, communication skills and co-operation with one another. Children are naturally inquisitive and this environment is designed to support their intellectual, personal, emotional and social development in readiness for school.